Last January, I started a hobby and a second project in addition to The Hobby Hoarder called “A Penny a Day.” I wrote about the project initially in this blog post. About two months in, I fell off the wagon, leaving pennies only sparingly through the rest of the year. This year, I am ready to get back on the wagon and try again. You might wonder what drives me to leave a penny each day, heads up, in a random location. I personally believe that something as simple as a heads-up penny can trigger a shift from negative thoughts to positive ones. I couldn’t prove that to you scientifically–but when was the last time you found a penny and didn’t automatically check to see if it was a heads–or a tails? And what did you do when you discovered it was a tails…or a head? To be honest, I’ve read that many people don’t pick pennies up at all– “too small.” But I want to believe that the kid in us will still get excited over something as simple–and small as a heads-up penny. Besides–Remember when a penny could buy one swedish fish?—Those were the days! Like the idea? Leave pennies and send photos over to libbysegal12@gmail.com. This is a blog to host your lucky cents as well. I hope you’ll join me in the fun. 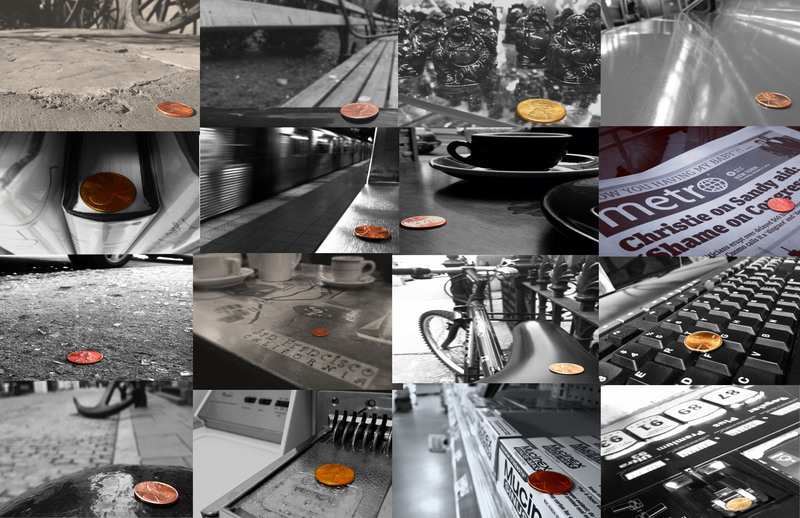 OH and if you happen to find a heads up penny, hold on to it–you never know how far a penny may take you. Posted in Money and tagged 2013, 2014, a penny a day, blogs, copper, good luck, heads up, luck be a penny, newspapers, pennies, pennies across america, projects, the power of a penny, wagons. Bookmark the permalink. I have a confession. I like to spend money. I like to treat myself to a coffee each morning from a local café or coffee shop because it kick starts my day. I like to take the East River Ferry every once in a while because the fresh crisp air in the morning sets my spirits higher than they would be if I was crunched into an overly packed subway cart. And I like to try new— sometimes-expensive activities—because trying new things brings a sense of balance to my life. Okay, you got me. I don’t like to spend money. I love to spend money. But I didn’t always love spending. I’ve definitely spent money a lot, but I used to look at my bank account the day after a purchase—or the morning after a night at the bar—and regret my monetary choices. I used to HATE spending money, because many times spending money wasn’t bringing me happiness or joy. Spending money is kind of like dieting. The more you tell yourself to eat less, the more time you spend thinking about food. The more you focus on how you should really spend less, the more you want to shell out the dough. We’ve all heard the adage, “money can’t buy happiness.” I only partly agree with this. I don’t think happiness has a price tag, but I do believe that the ways we spend money and what we spend our money on contribute to our overall happiness. In my case it’s rent, utilities, food, and a monthly train ticket. For others it might be a mortgage on the house, car insurance, and dependents. The aforementioned are necessary expenses. BUT much like cleaning out our closets from the clothes that we no longer want to wear, we can clean out the unnecessary expenses on our bank statements—the activities or outings or items that aren’t truly extending our happiness—that aren’t satisfying the lifestyle we are hoping to live. When I moved to NYC in January of 2010, I very quickly realized how easily I could blow $50-$60 in just one night by going to an amateur comedy night on the Upper East Side. With a two-drink minimum as standard, a handful of bills could disappear at dinner alone. And the next morning? I hated myself for spending that money. But why? As the money in my wallet began to dwindle, I had an epiphany, I realized that the glass of wine or the shot of Bacardi wasn’t satisfying me—that I was wasting money on something I didn’t ACTUALLY enjoy putting into my body. So I stopped drinking. 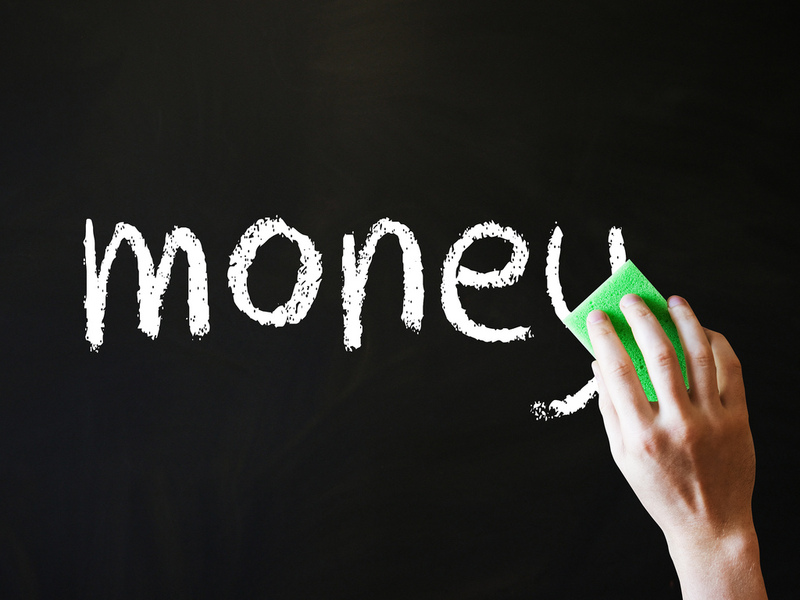 Within weeks, I began to see an incredible difference in my money saved vs. money spent. Once I gave up alcohol, I began to realize that there were other expenses on my bank account that likely also weren’t satisfying me or bringing me happiness. Rather than eating out at lunch each day, I began packing my lunch for work; rather than going out to eat for dinner often, I began to cook my own dinners; and rather than buying new workout clothes, I began bringing my old field hockey shirts from high school and college back to New York City with me. I realized that many times I was going out to eat at lunch because of feelings of laziness in the morning before work. This would actually in turn cost me three-four times the amount of money it would cost me to brown bag it. This realization was one that made me hate spending money. So rather than spending money on things that in turn caused me to be upset, I began saving and spending money on activities and things that I felt were helping me to balance and embrace the life that I wanted to live. I don’t intend to suggest everyone should give up alcoholic beverages, stop buying new clothes, ignore the latest movie releases, or turn the oven on every night—unless you are an amazing cook, in which case, please do turn your oven on every night (and invite me over)! I also don’t want to suggest that you should stand in front of an item at the store and do a cost/benefit analysis every time you are going to make a purchase. What I am suggesting is that recognizing patterns in the types of spending that bring you happiness—and the types of things you regret spending money on in the minutes, hours, or days after you make a transaction—can help you to refocus your energy on achieving goals you’re not quite sure how to reach otherwise. The items I listed above just happen to be a few of the sacrifices I’ve been able to make for myself. 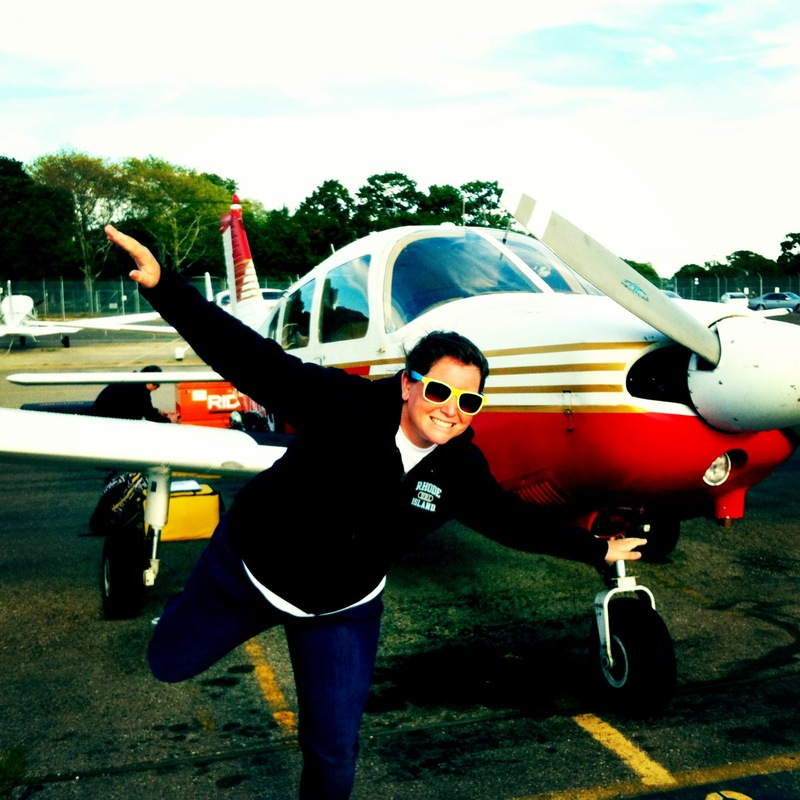 I became incredibly passionate about trying new hobbies this past year because of the joy each new hobby brought me , and because of the lessons each new hobby taught me. And because I recognized how much I was benefiting on a personal level and a physical level from each of the new things, I realized just how important it was that I budget, save, and sacrifice to contribute to the happiness I was seeking. If I’m going to spend money, I want to LOVE to spend money—and I want to love what I’m spending on. Make a list of what you are spending your money on—then go over that list and eliminate just one thing that isn’t contributing to your health, your happiness, or your balance. Then use this money to help you achieve your goal. Who knows? You might just fall in love with spending money, too. 1. 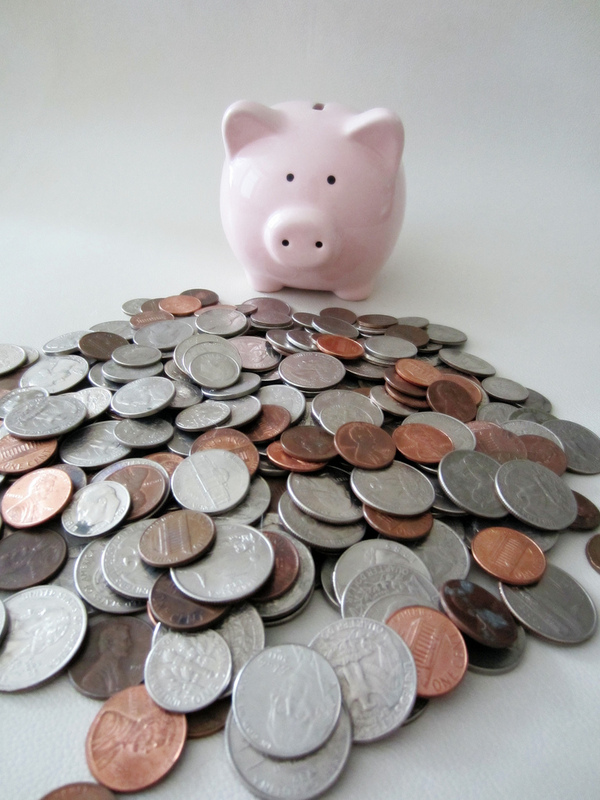 Invest in a piggy bank—Really. 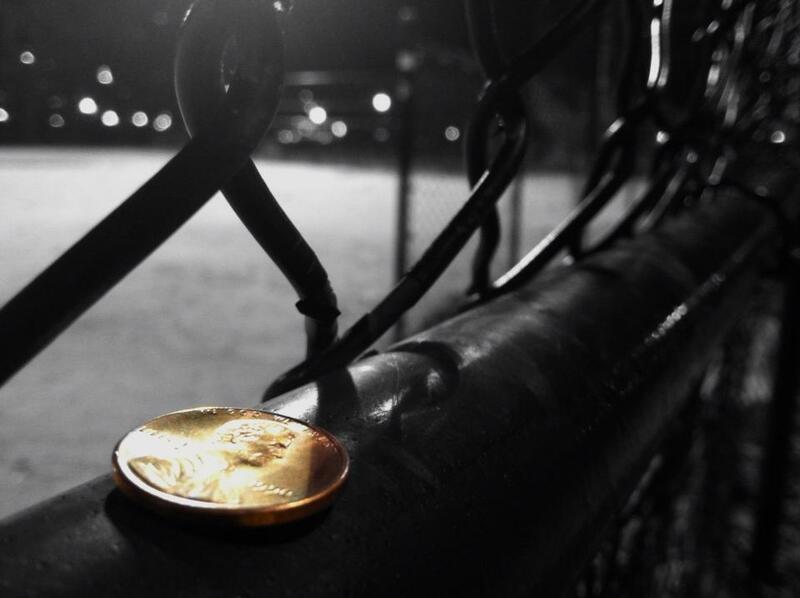 Every time you find coins—save them. Those pennies add up. 2. Look out for deals. If there’s a fitness class you’ve been looking for, a getaway you’re not sure you can afford, or a class you’re looking to take, see if Groupon, Living Social, Zozi, or Yipit has it. 3. Go through your closet and donate the clothes you no longer want to a registered charity. When you make charitable donations, you can receive tax deductions. You may not see the benefit of this immediately, but next tax season you’ll have something to smile about. 4. Piggy Backing on #3: For the holidays, see if you and your family would be willing to go in on a deal to donate the money or you would have spent on gifts or a capped amount of money to a registered charity. This way you’re doing good and receiving a tax deduction in the future. 5. Each week, or even each day, set aside 5-10 dollars. At the end of the month you’ll have your own personal pay check! Posted in Money and tagged alcohol, better living, bills, budget, car insurance, comedy shows, confession, dependents, dinners, dollars, donations, east river fair, electricity, Food, happiness, Hobbies, house, kids, Lifestyle, Money, mortgage, Movies, nature, pennies, piggy bank, rent, sacrifice, spending money, tax deductable, utilities, water. Bookmark the permalink.